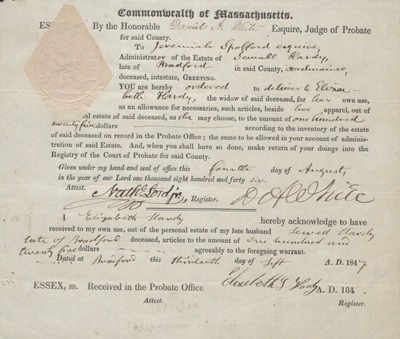 "Order Regarding Widow's Allowance (1847) 1"
Order regarding widow's allowance. Probate Court. Massachusetts. Image 1 of 3.